Romaine, Tomatoes, Cucumbers, Red Onions, Black Olives, Croutons. 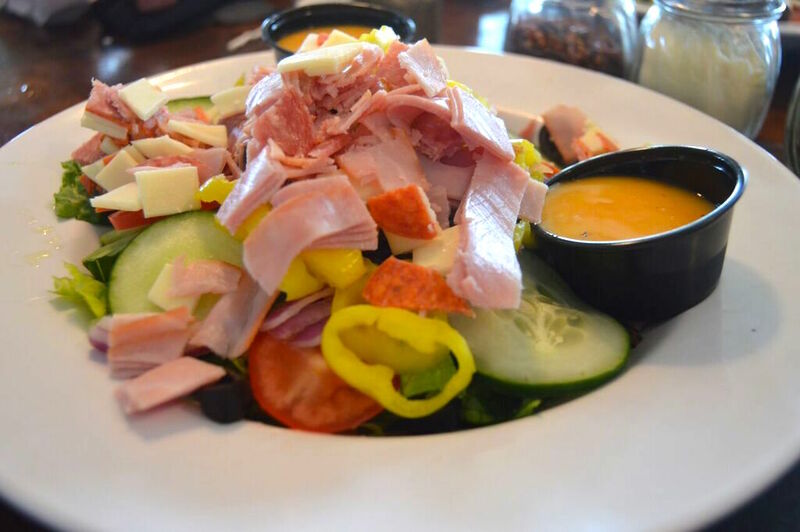 Turkey, Ham, Cheddar Cheese, Green Peppers, Black Olives, Cucumbers, Tomatoes, Red Onions. Banana Peppers, Cucumbers, Feta, Calamata Olives, Tomatoes. Romaine, shredded parmesan with croutons. 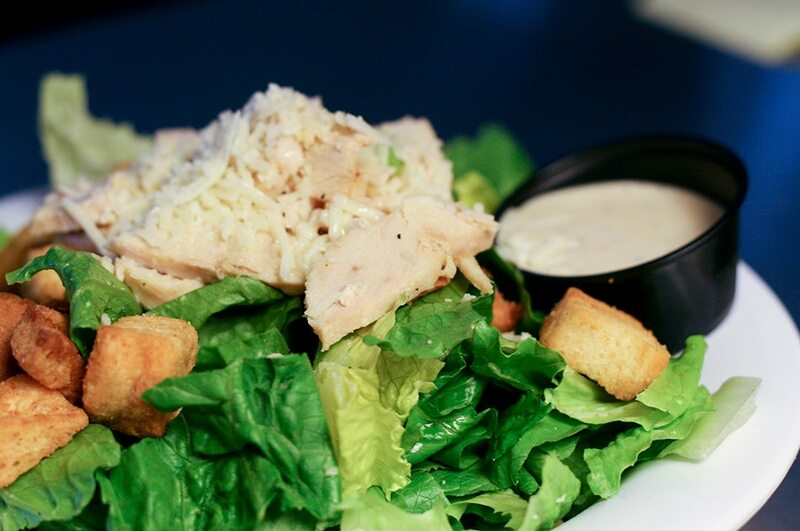 Caesar dressing. Garden Salad, Ham, Salami, Pepperoni, Banana Peppers, Provolone Cheese. Italian dressing. 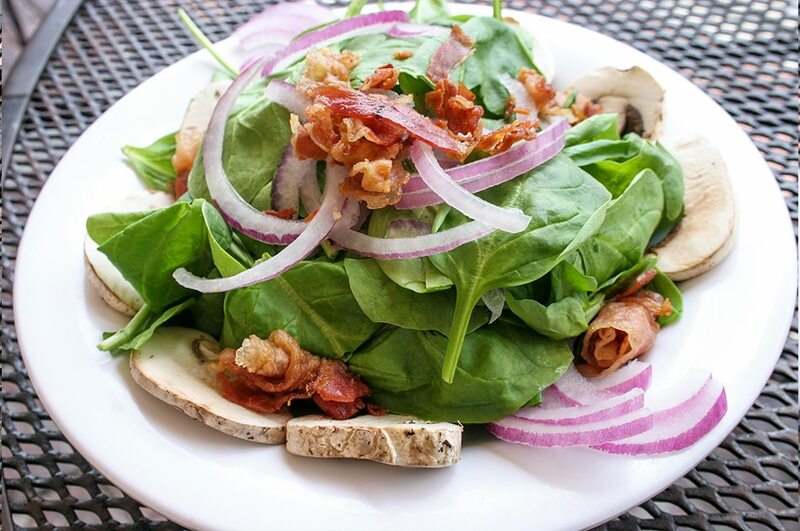 Fresh Spinach, Mushrooms, Bacon, red onions, Balsamic Vinaigrette. 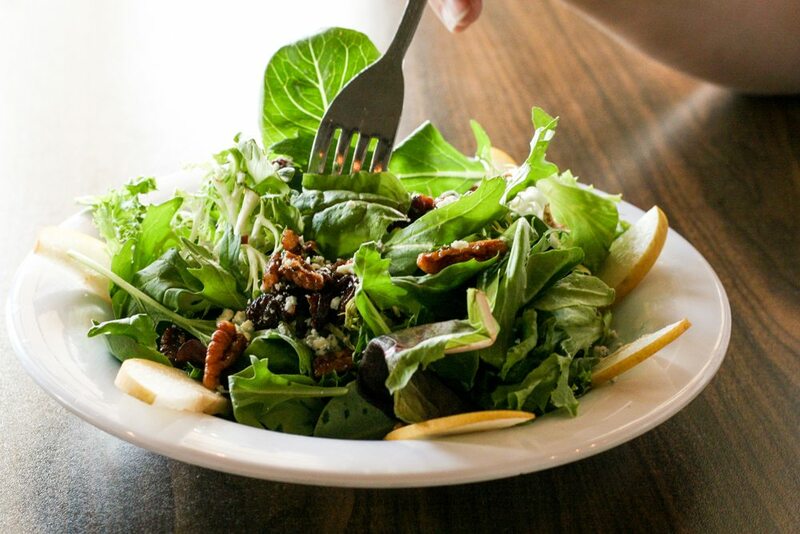 Field Greens, Dried Cherries, Fresh Pears, Gorgonzola, Toasted Pecans, Raspberry Vinaigrette. Fresh Spinach, Peaches, Walnuts, Blue Cheese Crumbles, Balsamic Vinaigrette. 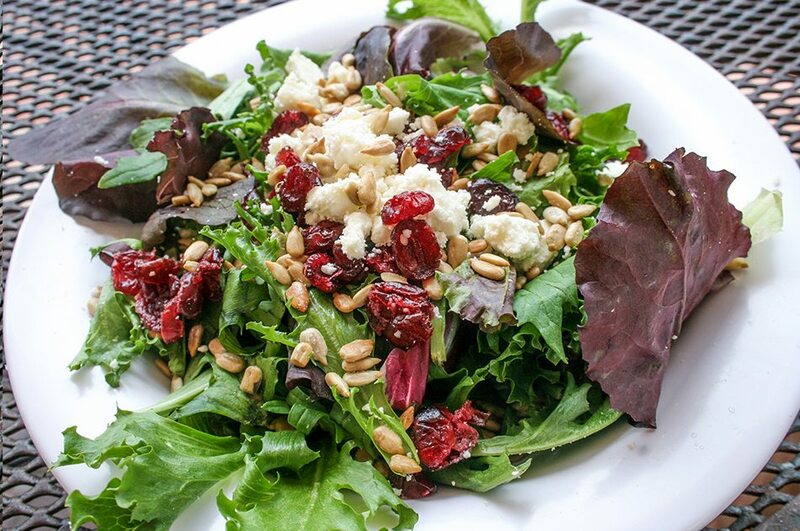 Field greens, Sunflower seeds, dried cranberries, crumbled feta. Raspberry Vinaigrette. 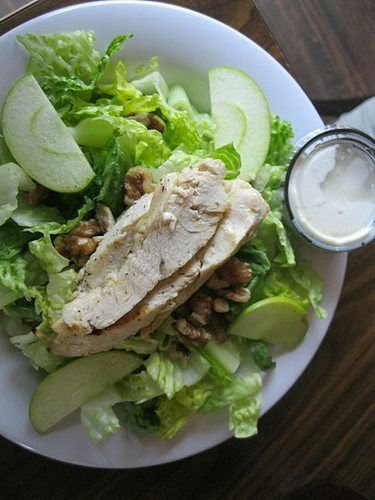 Romaine, Grilled Chicken, Walnuts, Sliced Apples, Blue Cheese. Choose romaine, spinach, or field greens. Add any toppings you’d like. Add meat for a $1.00. Toppings include: croutons, dried cranberries, dried cherries, sunflower seeds, toasted pecans, walnuts, cucumbers, fresh pears, blue cheese crumbles, and sliced apples. 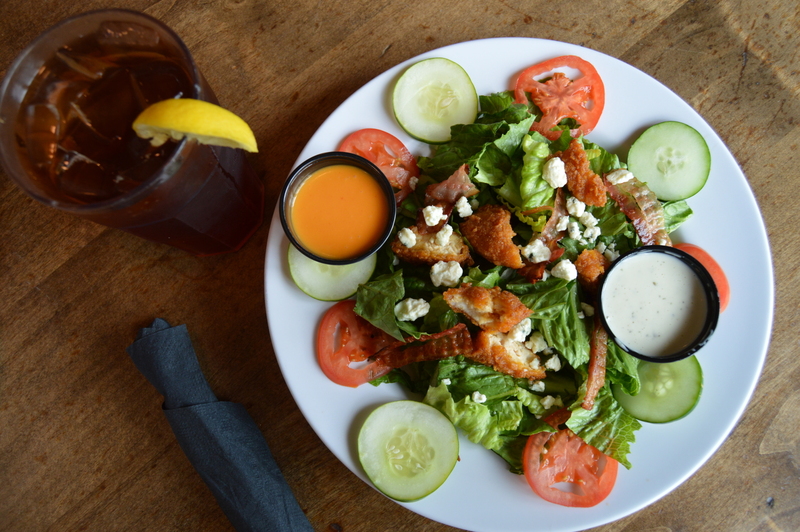 Romaine, crispy chicken tossed in Buffalo sauce, cucumbers, tomatoes, bacon and blue cheese crumbles. Ranch dressing. 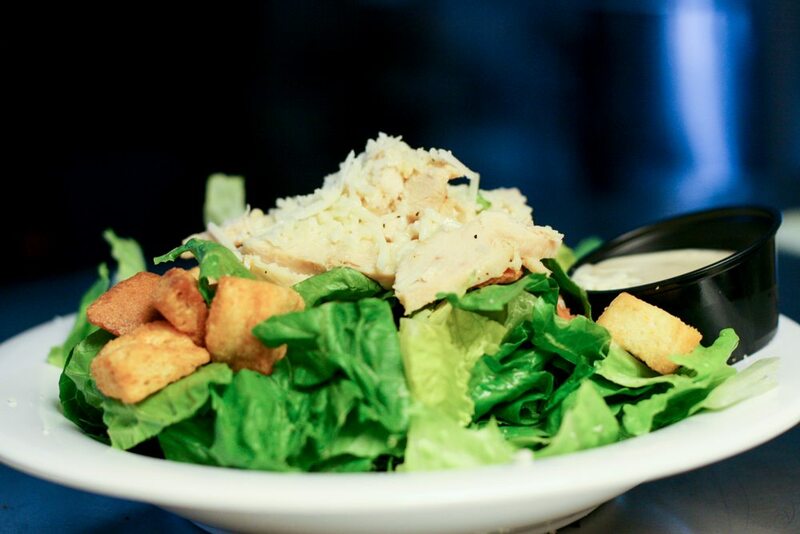 *Make Any Half Salad A Wrap For An Extra $1.00. Add grilled chicken for $1.50. Additional Dressing for $0.49 each. Dressings: Ranch, Blue Cheese, Honey Mustard, Italian, Lt. Italian, Raspberry Vinaigrette, Balsamic Vinaigrette, Greek. 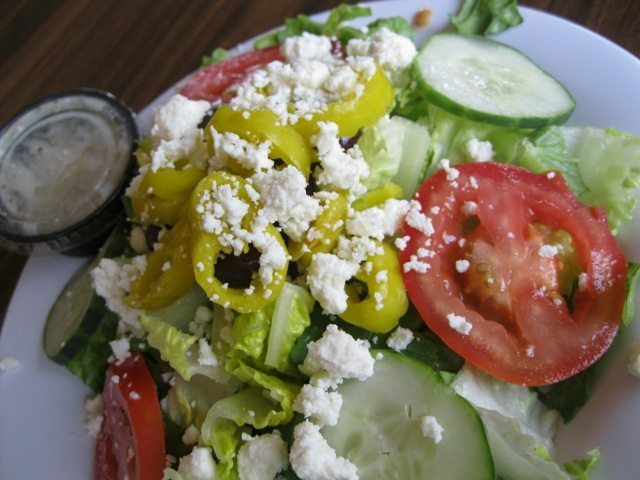 We use only the freshest ingredients in our salads and wraps. If you’re looking for a meal that’s bursting with flavor, look no further. 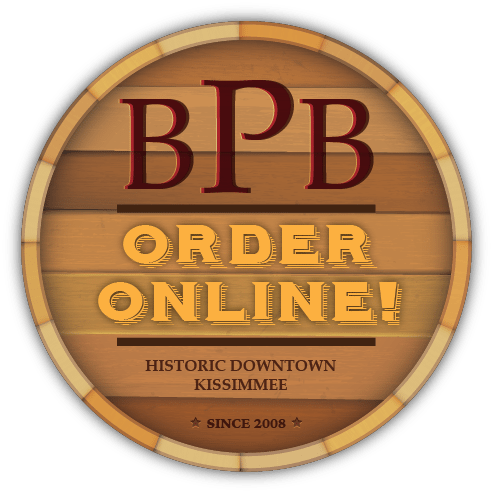 Call 407-847-7050 to place your order now! 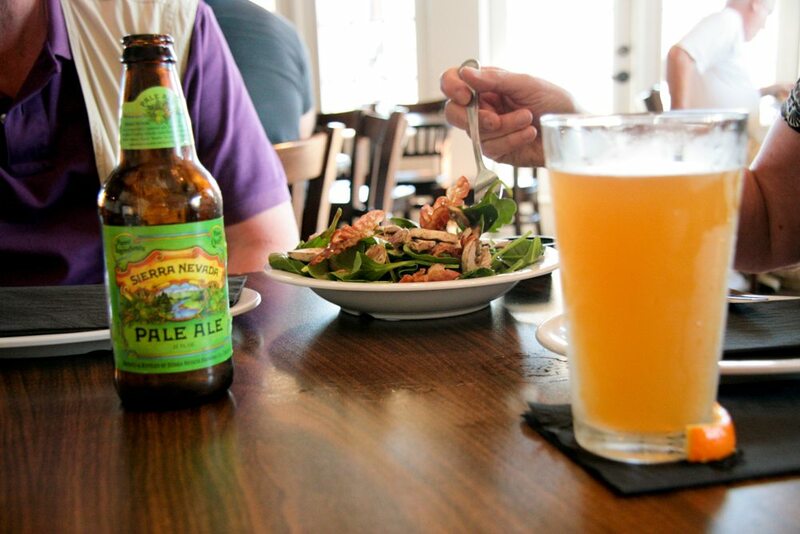 All of our salads and wraps are available for dine-in, pick up, or online. For any other questions, please inquire here.